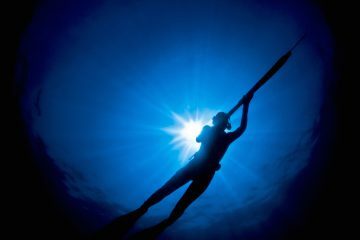 Vision and precision are everything when it comes to spearfishing. 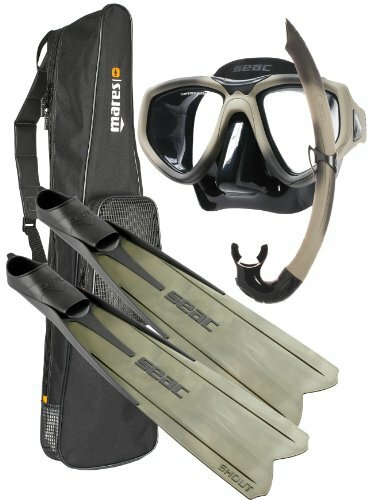 That’s why choosing the best spearfishing mask is not only a highly personal process but one that needs to take into account a number of considerations specific to the sport. 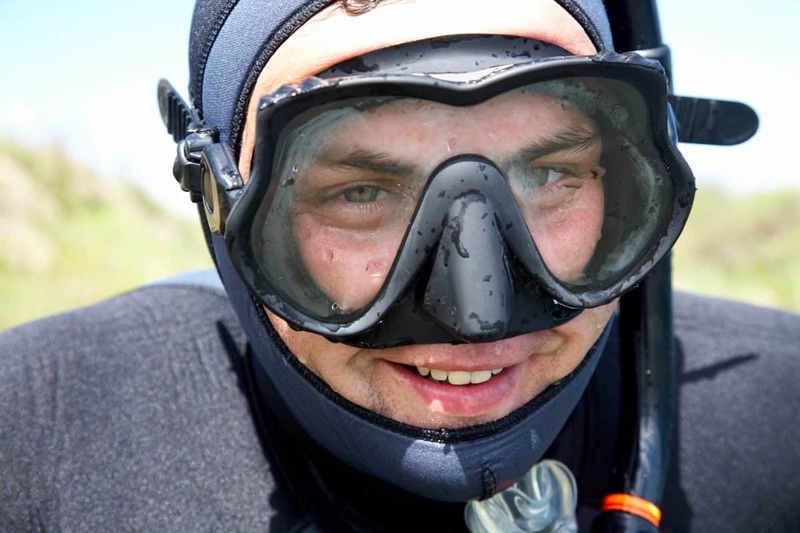 The mask you use for traditional scuba diving may not be right for spearfishing. You need to be able to hone in on your target, free from distractions to give you the best shot at catching dinner. One of our goals at the The Adventure Junkies is to help educate you to make the right decisions when it comes to choosing spearfishing gear. In this guide, we will show you why you need a specific spearfishing mask, what to look for in a mask and our selection of the best models of the year. 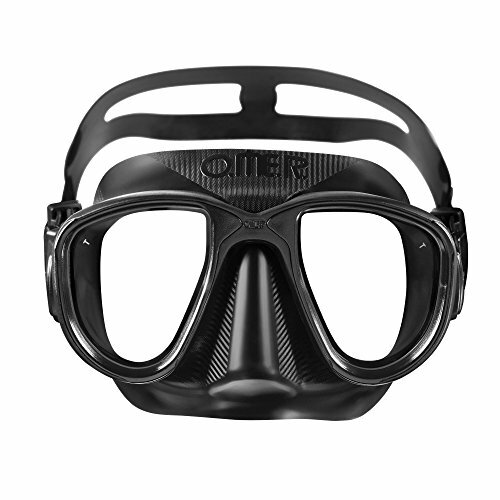 Also known as ‘volume’, spearfishing masks should have a low profile. That means they should be smaller than a traditional diving mask, trapping less air between your face and the mask. 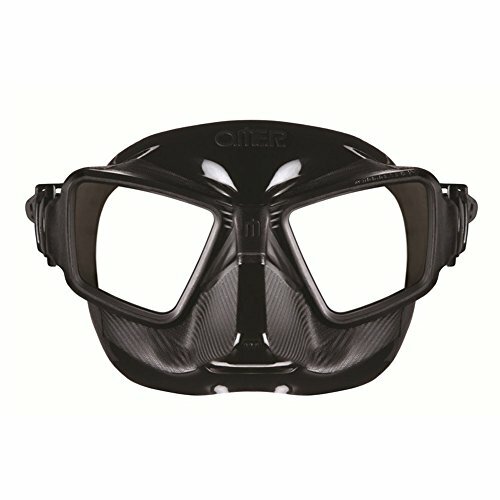 A low volume or low profile mask will offer much better vision underwater, allowing you to see your potential targets clearly. 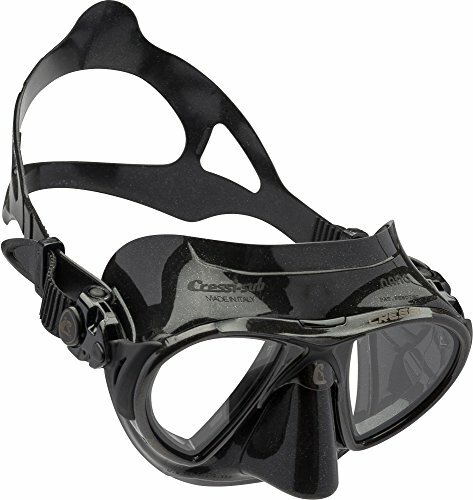 Most masks are made of silicone and this remains the best choice for spearfishing and diving masks. Soft silicone offers the best fit on your face, is durable and comfortable. Low grade materials that are made of rubber will not last long and won’t offer the best fit. 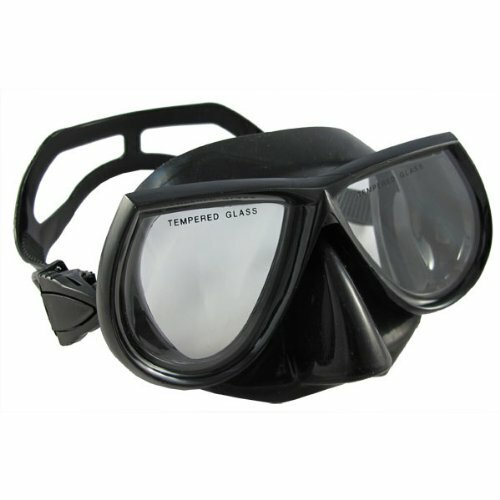 A good quality spearfishing mask should also have tempered glass rather than plastic lenses. Your vision is crucial to your success in spearfishing and plastic lenses are cheap, easily damaged and cannot always withstand the pressure as you descend deeper into the water. Some masks are bi-silicone, which means they have a firmer structure with softer material for comfort on the skin. 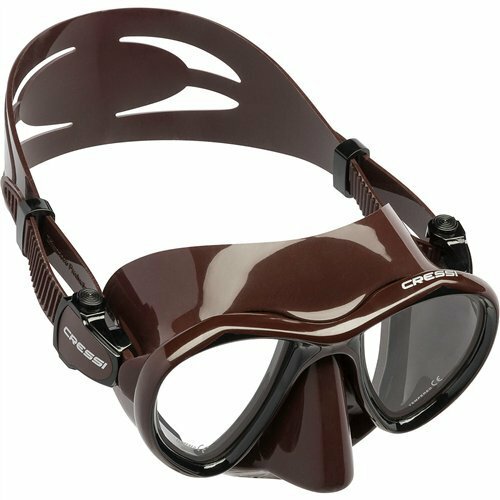 The right fit is important in order to be comfortable underwater as well as creating an air-tight seal to prevent fogging. Your mask should be able to stay on your face by simply breathing in through the nose and suctioning it on. If it falls off, the mask may be too big. If you buy a mask that is too small or tight, it can cause tension headaches make your experience underwater miserable. 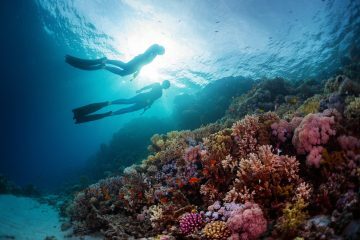 If you were to go hunting in the bush, you wouldn’t wear bright colored clothes, so why wear a bright or light colored mask when hunting underwater? Like any type of hunting, you need to remain inconspicuous, which is why black or dark camouflage colors are far better for spearfishing. Black remains the most popular. You also need to create a bit of tunnel vision in order for you to accurately see your target. Clear masks will let in too much light, but black silicone skirts will help identify your target with focus and precision. 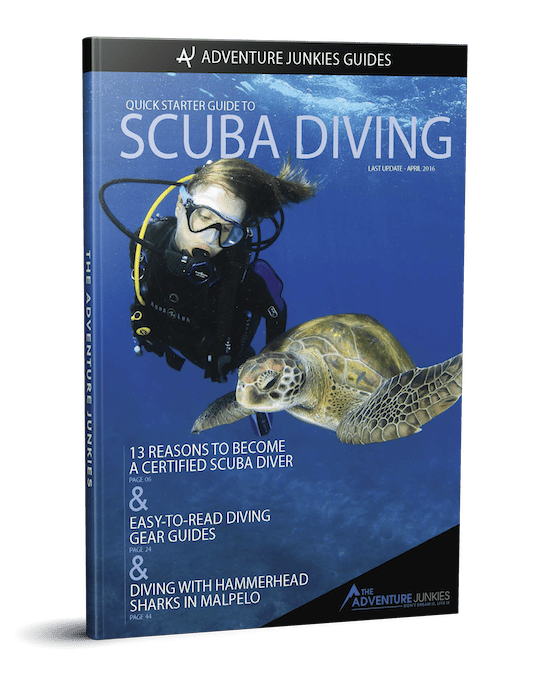 These days, everyone seems to want to capture their feats – regardless of whether it’s on a mountain, in the bush or underwater. 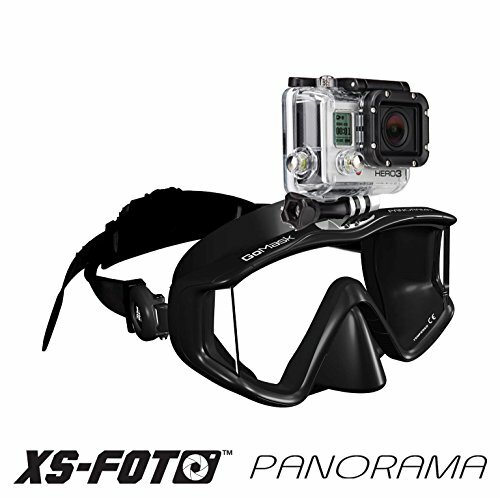 If filming your underwater hunting skills is important to you, there are spearfishing masks with camera mounts attached to them. Don’t bother with camera integrated masks – the ones with a built-in camera to the top of the mask – as they tend not to last long and do not provide clear footage. 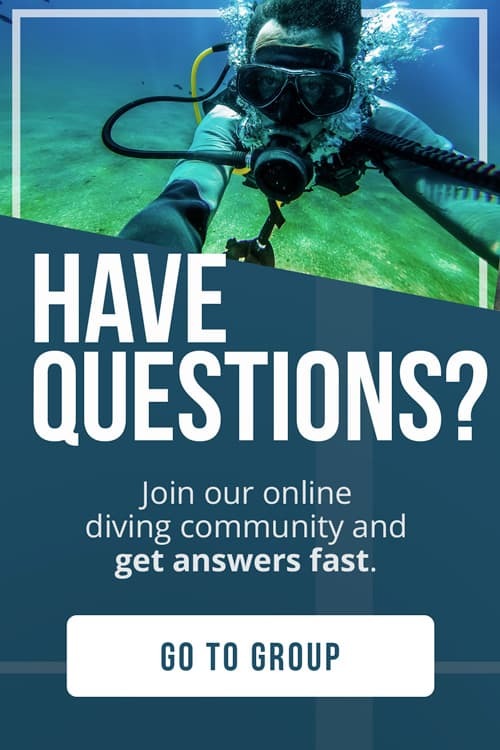 If you are long-sighted, you may wish to consider a mask with a bottom lens, if you need to be able to see things such as your dive watch close up. Some mask manufacturers and dealers are able to swap out the standard lens with a prescription, so do enquire if you have eyesight problems and don’t wear contact lenses. 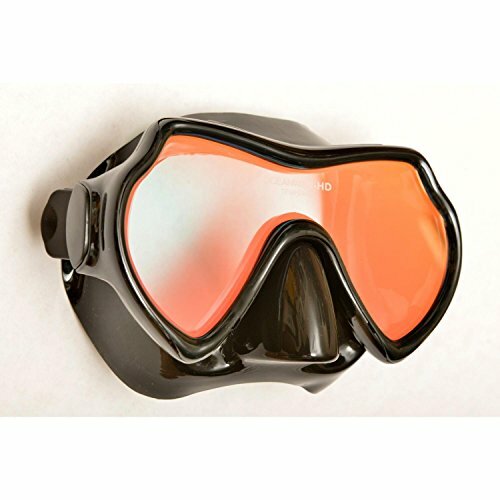 These days, spearfishing masks can also come with tinted or mirrored lenses. They have the same effect as if you were putting on yellow-tinted sunglasses on a cloudy day – they can brighten up the scene. Some tints or mirror lenses can hide the hunter’s eye, which could prove useful for stalking prey unnoticed. However many hunters still prefer to use a clear lens – it comes down to personal preference. Some masks have one single lens or pane which covers the entire mask while others have two. This basically comes down to personal preference. Some people prefer the increased vision with a single pane, while others choose a double pane for extra tunnel vision.